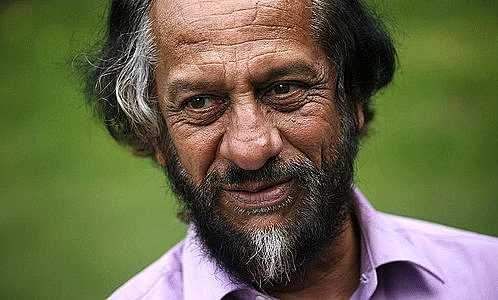 Rajendra Pachauri – is science his real concern? From the New York Post, September 1, 2010. Then there’s the IPCC’s earlier prediction in 2007 — which it claimed to have “high confidence” in — that global warming could lead to a 50 per cent reduction in the rain-fed agricultural capacity of Africa. Such a dramatic decrease in food production in an already poor continent would be a terrifying prospect, and undoubtedly lead to the starvation of millions. But the InterAcademy Council investigation found that this IPCC claim was also based on weak evidence. Yet the Himalayan claim wasn’t based on peer-reviewed scientific data, or on any data — but on speculation in a phone interview by a single scientist. All this comes on top of last year’s revelation of the “Climategate” e-mails, which revealed equally shoddy practices (and efforts to suppress criticism) by scientists at the Climatic Research Unit at the University of East Anglia — perhaps the single most important source of data that supposedly proved the most alarming claims of global warming. Al Gore and many other warming alarmists have insisted that “the debate is over” — that the science was “settled.” That claim is now in shreds — though the grants are still flowing, and advocates still hope Congress will pass some version of the economically ruinous “cap and trade” anti-warming bill. What does the best evidence now tell us? That man-made global warming is a mere hypothesis that has been inflated by both exaggeration and downright malfeasance, fuelled by the awarding of fat grants and salaries to any scientist who’ll produce the “right” results. The warming “scientific” community, the Climategate emails reveal, is a tight clique of like-minded scientists and bureaucrats who give each other jobs, publish each other’s papers — and conspire to shut out any point of view that threatens to derail their gravy train. Such behaviour is perhaps to be expected from politicians and government functionaries. From scientists, it’s a travesty. In the end, grievous harm will have been done not just to individual scientists’ reputations, but to the once-sterling reputation of science itself. For that, we will all suffer. Matt Patterson is editor of Green Watch, a publication of the Capital Research Center. Yes, that is good, Quentin, thanks. We could easily fill this site with material from elsewhere on CAGW, but I want to keep a NZ focus. I think we’re the only sceptical site that does. Or has anyone seen another?